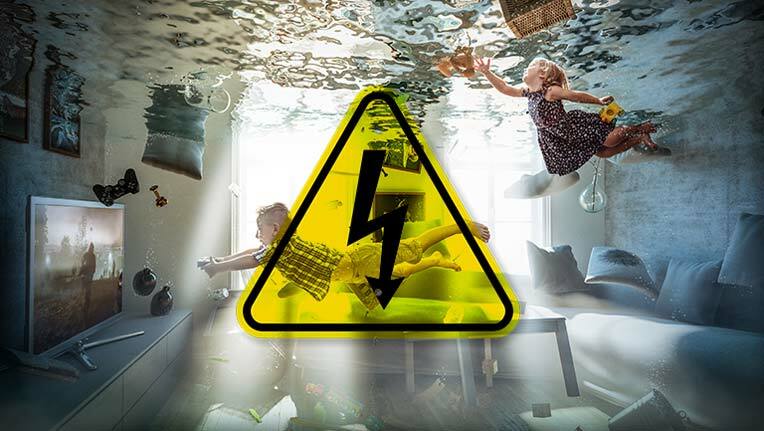 A flood in your home can often cause a variety of electrical safety hazards. 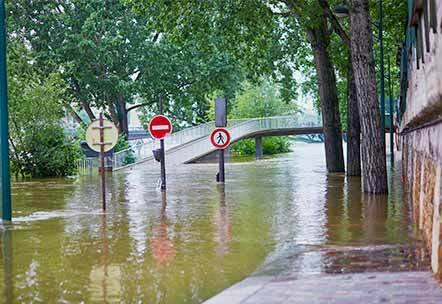 Floods cause an electrical failure, which can result in electrical fires, property losses, injury, and death. So you’ll need to take proactive steps to protect yourself and your loved ones. We’ve identified some electrical safety tips you can follow to prevent fires in your home. Don’t turn off power at the breaker box if you’re standing on a wet floor. Flip the breaker box off using a dry stick. You can also have a professional check it out if you feel it is not safe to do so. Don’t step into a flooded area if water may be in contact with electrical outlets, appliances or cords. Do not use electric devices or touch electric wires, switches or fuses when you’re wet. Do not use an electrical appliance that has been exposed to water. Electricity can be dangerous, and water can make it more so. So you have to be extra careful. What Specific Actions Can I take to Prevent Electric Fires in My Home? Appliances: Electronics are an integral part of our daily lives. From televisions to microwaves, fridges, and irons, it’s hard to imagine our world without them. But, it is crucial that you take precaution. Especially with major devices like microwaves, air conditioners, and dryers. To ensure life safety and property loss, plug them into a wall outlet dedicated to power them. Connecting them to extension cords or power strips may cause overloading. Lights: Light bulbs are crucial for our everyday activities. They provide the illumination that enables us to get by when it gets dark. Only use bulbs that follow specifications on energy use, light output and lamp life. The best course of action would be to get certified bulbs that meet all requirements. Space Heaters: Many people use home heaters for a variety of reasons. They’re portable, cost-effective, and can keep your family warm. But as it turned out, they for 43 percent of U.S home Heating Fires. This is because, in spite of their small size, they draw a lot of electricity. Besides, many people misuse them. So you should plug space heaters into the wall and keep them three feet away from anything that will burn. We’ll recommend that you check to ensure the space heater you’re getting is tested and certified before you buy it. Ground-fault circuit interrupter (GFCI): GFCIs protect you against shock hazards. They’re fixed in areas where electrical circuits may come into contact with water. They act as a safety precaution in kitchens and bath. They’re also used in other areas where electricity might encounter water. If the GFCI senses that your body is starting to receive a shock, it cuts off the power before you can get injured. Generators: Generators can give your household the needed backup during a short-term blackout. Even so, you should never use them inside the home or garage. This is because they produce deadly levels of carbon monoxide. Instead, use them outdoors where they can cause you and your family less harm. It’s not safe to use generators in wet conditions. Doing so could lead to electrocution or some explosion. Also, do not plug your generator into your home outlet. Connecting it can cause fatality or damage other home appliances. Extension Cords: Extension cords are a great way for you to bring power to your electronics. But you should use them only as a short-term wiring solution for outdoor projects. It is advisable to check to ensure they’re rated for outdoor use. The best measure you can take to protect against fires is never to use damaged plugs or frayed cords. Check your wires as often as possible to ensure the outer covering is in excellent condition. Replace extension if you discover that it is frayed or damaged in any way. Also, you should avoid running a power extension cord under a carpet, through a door or out the window. When you do this, the cord becomes squashed over time as you open and close doors/windows. This can cause the wires inside it to break and result in a fire hazard. Outdoor Outlets: Outdoor electrical outlets help supply power to your gadgets and yard. Yet, they are usually exposed to elements which can compromise your safety. For instance, outlets with broken cover could cause a fire when they come in contact with water. Water can bring electricity in close contact with your body when your outlets are naked. GFCIs help to prevent such accidents by shutting off the power to avoid shock. It is advisable to replace all your outdoor electrical outlets with GFCIs. Doing so will help protect you and your family against lethal shock. You’re also encouraged to test GFCIs once a month to make sure they are working as they should. You can also use weather-resistant receptacles outdoor to protect your outlets from floodwaters. 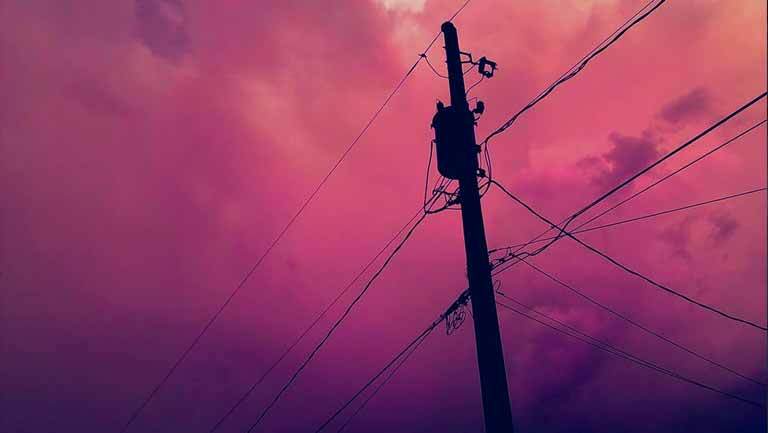 Power Lines: Flooding is more dangerous when it occurs near large power sources. So you should stay at least 10 feet away from power lines if possible. If you’re dealing with a downed power line, stay away and contact the electric utility. Trim tree branches around your power lines. Doing so will help prevent them from falling and damaging the wiring. Note: You need to take care when trimming trees near a power line. A stray branch can send a deadly shock down the trunk. If you’re not sure how to handle this, you can have a professional take care of things on your behalf. If you’re interested in protecting your family and properties, Electrica can help. We have been providing solutions for fire hazards throughout Texas since 2005. We have devised protection strategies for homes of all shapes and sizes. These include residential properties, commercial buildings, and everything in-between. We’ve even fixed electrical faults in the most demanding of conditions. 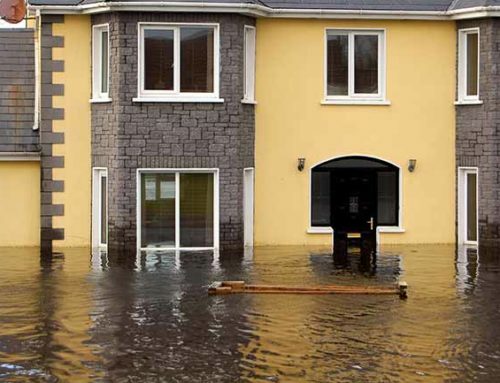 We make sure that you never have to deal with the electrical issues that flooding leaves behind.